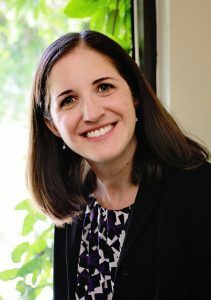 Katie Clunen (formerly Pietrolungo) focuses on family law and mediation in Southern California. She has a background in civil and business litigation. Ms. Clunen is currently the President-Elect of the Ventura County Bar Association. She is the past Chairwoman of the California State Bar’s Young Lawyer Association (CYLA) and the past American Bar Association (ABA) Young Lawyer District Representative of Southern California. She also served as a liaison between the state and local bar associations and the ABA YLD as well as handled Disaster Legal Services under the ABA YLD’s contract with FEMA. She is currently the Secretary / Treasurer of the Ventura County Bar Association and the President of the Jerome H. Benson Inns of Court. She is also a board member of the Ventura County Legal Aid, a member of the Ventura County Family Law Bar Association, and a member of the Collaborative Divorce Advisors. Katie grew up in Ventura County. She graduated from La Reina High School and then received her B.A. from California Polytechnic State University-San Luis Obispo. Ms. Clunen obtained her Juris Doctor from Southwestern University School of Law where she served as a notes and comments editor for the Journal of Law & Trade in the Americas, and as Justice for the Sammis Chapter of Phi Alpha Delta. She is the author of a published law journal article titled “Global Rule One: SAG’s Answer to Runaway Production”. Visit: Katie’s website and information.